Firstly I would like to say how awesome it is to know, to be one of the first/first SA doner(s) te went to Asia for a donation., is an interesting place. It’s quiet, and not much to do. We saw so MANY Buddha’s! If I never see a Buddha again, it will be to soon! (Rest assured, that I’m not complaining at all) it was beautiful experience! We stayed at Salana Boutique Hotel. Very cute place. With most friendliest, cutest people. They made us feel so welcome. The breakfast buffet was my favourite part of everyday! (Only because I love breakfast food so much) Salana Boutique Hotel is located in just the right place I think. There are so many restaurants in the street/area, massage places, and a night market. Where you can literally buy almost everything you can think of. The night market gave it life! Made it feel more busy and alive! I felt so safe there. No matter what time of the day or night, the streets felt so safe. No one ever bothers you. And everyone minds their own business. I’ll go back to Laos anytime. My retrieval went well. I had no pain what so ever. And everyone at the clinic are so nice. I really like that clinic and the people working there. They took well care of me. Over all it was a nice experience. I miss the chocolate/chips, movies and chill nights the most, now that I am home. 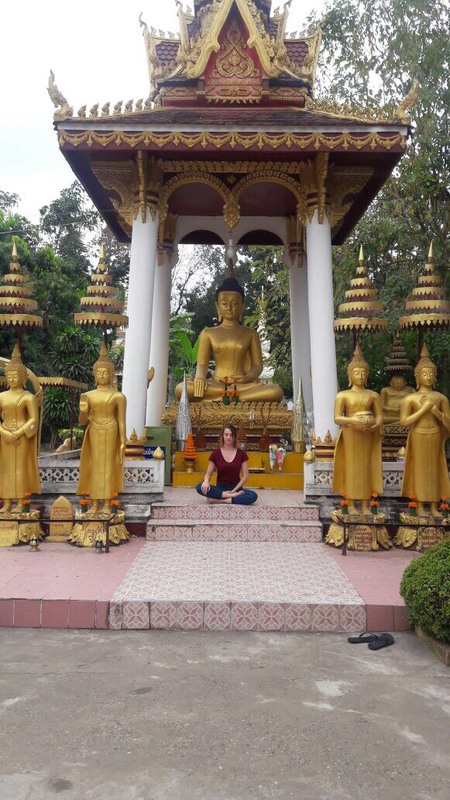 Thank you Junette for everything, for taking us to see all the Buddha’s, different restaurants and for all the chocolates at night! Love you dearly!